This night plan was tested and confirmed, so for Mtn Subscribers this time for you to rock the night with this MTN night plan. 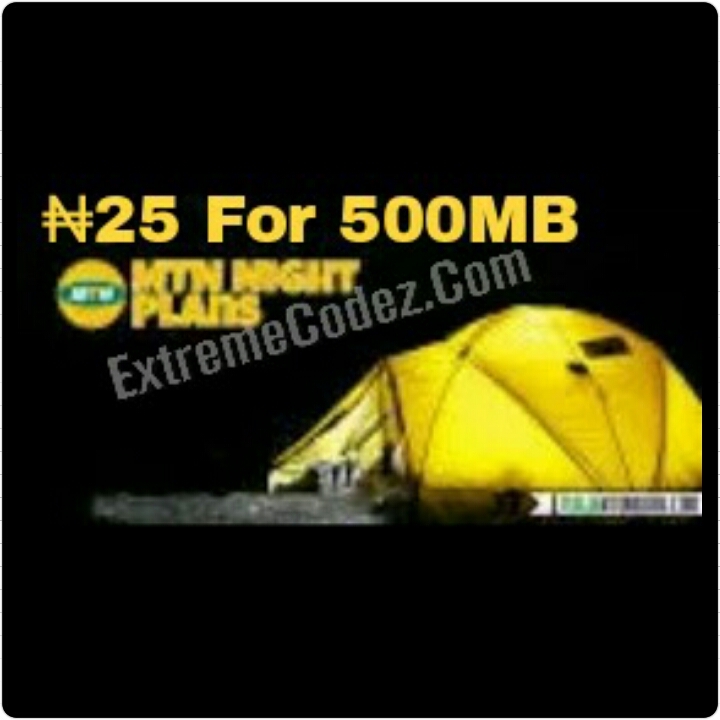 With the night plan you can now chat, upload, download, stream and browse for as low as ₦25 for 500MB at night. Starting from (12)am to (4)am. Although 9Mobile also has night and weekend plans that might interest you so if you're 9mobile user you can check out how to activate the new 9Mobile night and weekend plans from here, but in this post you will find a step by step guide on how to go about the MTN Night plan on any internet enabled device. So let's quickly check out how to get this done! "Dear Customer, you have successfully subscribed to Free Night Browsing between 12am and 4am. N25 has been deducted. Fair usage policy apply. Enjoy!" Then you can now start browsing and downloading as you like. IMPORTANT: This Plan Costs ₦25, Has a Data Cap Of 500Mb and Only Works Between the hour of 12:00am-4:00am, and can only be activated once a day. That's to say if your 500mb is exhausted before 4:00am you will have to wait till the 12:am before you can subscribe to a new one. Unfortunately, you can't check the data balance but MTN will send you a notification when your Data remains 99.9Mb. Don't just read and go, kindly share this post to your friends and family by using any if the below share buttons, and don't forget to share your experience regarding this mtn night plan. The MTN night plan is now working as we do know it was not working for sometime, but right now it back again. This night plan was tested and confirmed, so for Mtn Subscribers this time for you to rock the night with this MTN night plan.